Despite having only three years' pro-level experience under his belt, Team USA freeskier Nick Goepper secured his place on the U.S. Olympic team just before Christmas, when he took second place in the US Grand Prix slopestyle competition at Copper Mountain. And Goepper was already a major competition winner. His first significant win came at the 2012 Winter X Games in Aspen, where he took home a silver medal. At the 2013 Winter X Games, he upgraded that to a gold. From perfecting his first double flip at the age of13 — he apparently built his own park in his backyard, complete with skate rails and a wooden kicker covered in Astroturf — Goepper's arsenal of moves now includes a double cork 1260 tail-grab that is so fast, it has to be recorded, then slowed down on camera, to be watched properly. 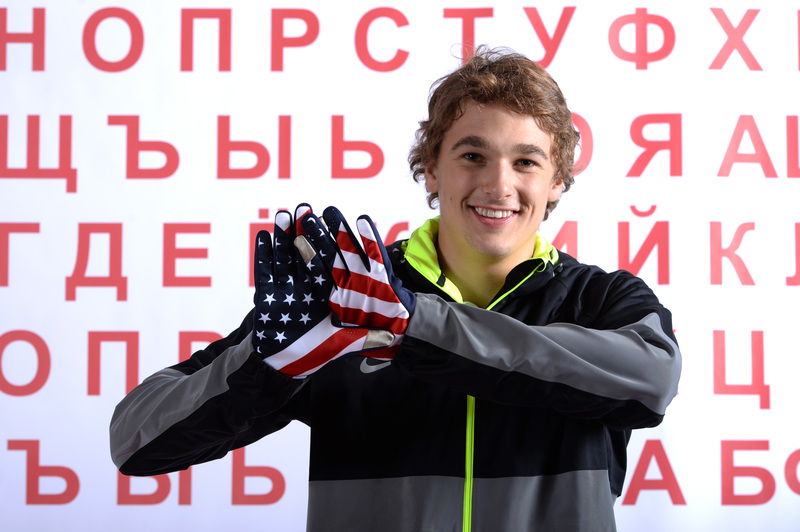 Not to mention, Goepper is some of the loveliest eye candy you'll see on the Sochi slopes. Appearing at this year's Golden Globes, Goepper looked as sweet as he did dapper in a tux, and couldn't resist Tweeting pics of himself with his favorite film and sport legend. Seriously: how cute is his fan-boy "TYSON!!!" caption on this Twitter pic?